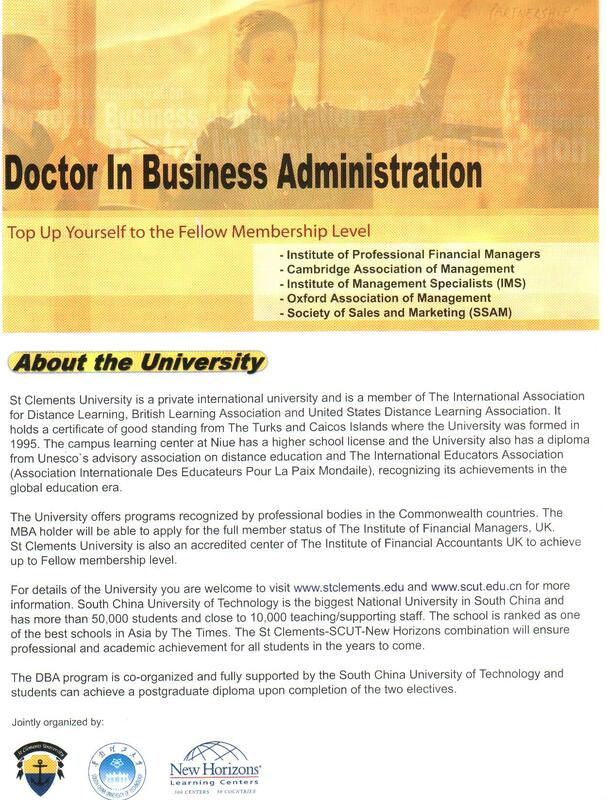 DBA students in Hong Kong and China would be guided face-to-face in our Hong Kong center. 1. MBA degree or equivalent Master Degree in business, management or related areas plus at least 5 years experience at management level. 2. 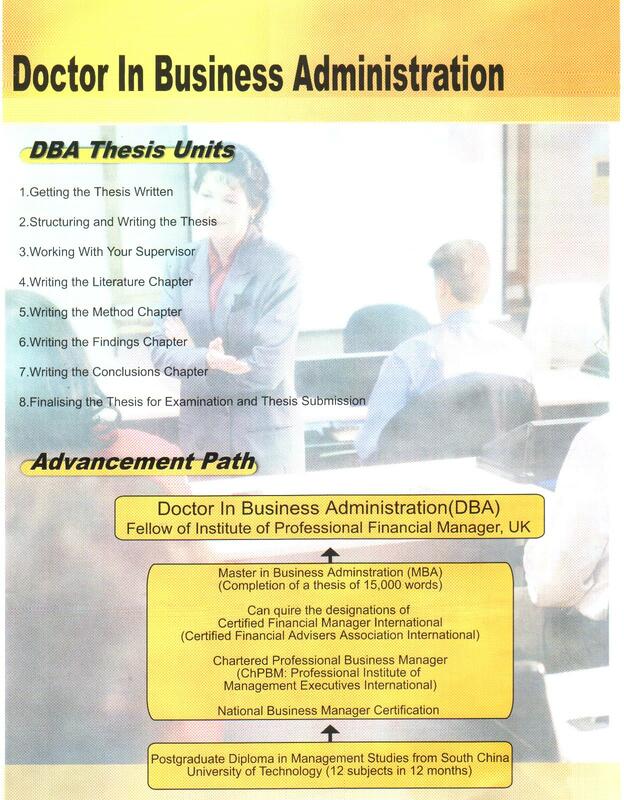 Students with top management background of more than 10 years can apply with an aim to complete the MBA first. 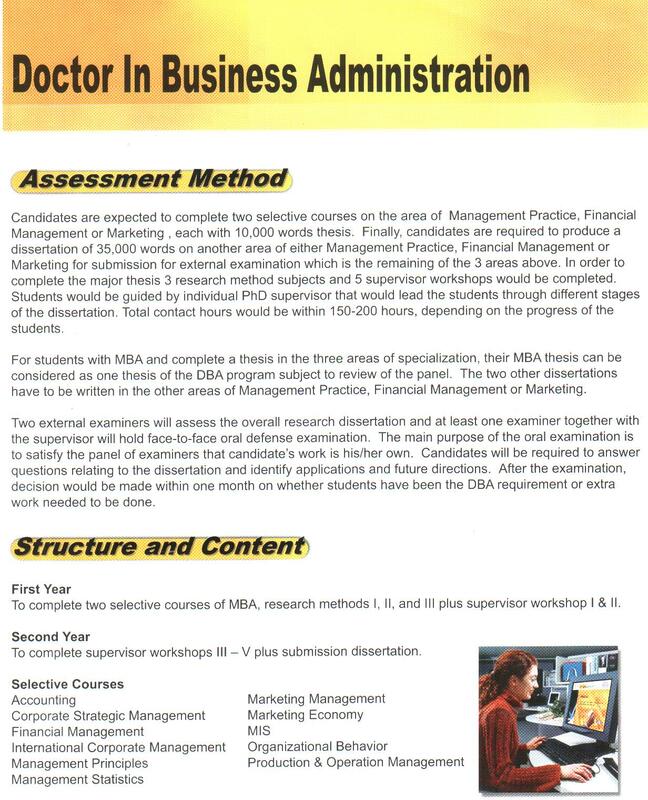 Students without a MBA need to complete MBA before getting DBA. 3. All applicants need to attend an interview. 4. Students need to have at least two referees, one being Professor that knows the student academic ability and one from top management of this / her company. The fee for the whole program is HK$148,000. Application fee is HK $3,000 and is refundable if application is rejected. The payment well be settled from 3 installments.